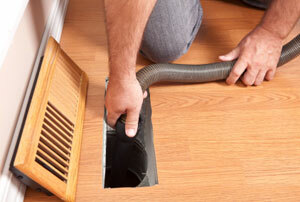 As you know that cleaning your air ducts in home can improve the quality of the air you breathe. Dust and other allergens can become trapped in your forced-air system by entering through the return air vents or air leaks in your system. These air-conditioning and heating elements then force allergens into your home. The dirt in air ducts adheres to duct surfaces and does not necessarily enter the living space. It is important to keep in mind that dirty air ducts are only one of many possible sources of particles that are present in homes. The quality of the breathing air in your home can have a direct effect on the health of you and your family as dust and other allergens can cause allergic reactions and respiratory problems. It is important to help improve the indoor air quality of your home with your spring cleaning routine by cleaning your air ducts, carpet, and watching for mold. It is very important to clean your indoor HVAC system on regular basis. Some HVAC maintenance tasks to improve air quality include adjusting and cleaning fans, checking for refrigerant leaks, and cleaning indoor coils to remove buildup of grime and mineral scales. It eliminates accumulated dust and debris, improving air quality and reducing health risks that were caused by the polluted air and also reduces the amount of built-up dust on surfaces inside a building, as the air ducts are no longer transferring dust throughout the home or office. If you want to do some DIY methods to your indoor air quality then you can go around to all your vents and registers and sponge them down and clean as far as you can reach. You can also use a vacuum hose to clean them even more. At Squeaky Clean Duct in Melbourne, we can share with you your whole house Air Treatment to clean, disinfect and deodorize the air in your home 24 hours a day, naturally and without chemicals; then you can decide which best fits your concerns and needs. 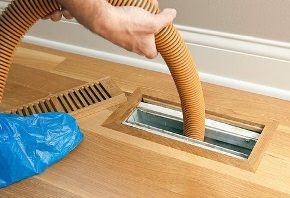 Steps 1 - The majority of dust in your ducted system is usually found in the air return duct. This is because air is constantly sucked through the return grill and passes along the return duct to the heater. You may notice the return grill gets dusty over time. Well the buildup of dust does not stop there!! The entire length of the return duct and the heater interior collect dust. Step 2 - We open the heater/furnace and remove the fan. The fan blades, motor and cases are separated for cleaning. The fan blades, casing and motor are cleaned using an air gun. The heating channels and the interior walls of the heater are also cleaned. This area is particularly important as an excess of dust can cause the fan to break down or worse, can cause the system to catch fire. Step 3 - Each of the duct lines in your house are then individually cleaned. A special duct ball that runs on compressed air travels along the duct dislodging debris which is immediately removed from the home by a powerful electric vacuum system. We apply a special vent cover on each duct outlet not allowing any dust to escape into the room. Timely air duct cleaning is advised to everyone. There always remain the health threats through the contaminants. These contaminant or air duct particles have been found to be causing hypersensitivity and other respiratory diseases. Therefore, right procedure for cleaning the ductworks of HVAC system is highly essential. The following tips can be helpful in avoiding the bugs or contaminants. Dealing with the molds is one of the biggest challenges for any duct cleaner. These molds grow at those zones where moisture gets excess due to insufficient air flow. This creates the perfect environment for growth of the molds. No doubt one should only depend on the expert duct cleaner professionals for mold removal from within the system. But, instead of normal cleaning methods using the vacuum cleaners, it would be a better recommendation to remove the insulation system and then wipe out the grown molds. Other than mold, insects are indeed the biggest threats to HVAC systems. In fact, the insects can bring huge damage to your HVAC system than you would have anticipated. One can notice such growth of insects through paused clogged performance of HVAC systems. The best recommendation would be to stop the HVAC system completely to avoid greater damage. 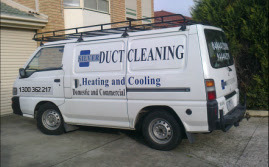 You should make it functional again only after the expert duct cleaning in Melbourne removes the insects. Some people don’t think anything, and just appoint a professional cleaner. There are certain factors one can’t simply ignore. Time is one such biggest factors one must consider prior appointing a professional service provider. This is so as the techniques like compressed air duct cleaning or manual duct cleaning using rotator brushes consume greater time and efforts. Hence, make sure you have enough time in hand prior trying these methods. Better recommendation would be to ask the duct cleaner for a pre cleaning survey. As a result, they will be able in suggesting you the method that has to be followed, or the time required for it. Accordingly, you may plan a schedule according to your comforts.